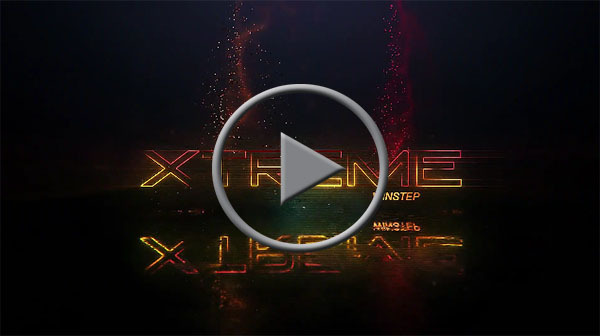 Q) What is the upgrade policy for Winstep Xtreme? A) Purchasing Winstep Xtreme entitles you to 1 full year of FREE upgrades. All upgrades released during that year will work with your license key and are yours to keep – forever and ever. After that year elapses, when a new version you would like to have is released, you can upgrade to it for ONLY $19.95. Those $19.95 in turn entitle you to ANOTHER year of FREE upgrades, which is why this process is called an 'upgrade subscription'. A) What good are free life time upgrades if the software stops being developed because it is no longer profitable or the company goes out of business for the same reason? A large slice of every successful company's income comes from repeated business. This actually benefits YOU too: unhappy customers are unlikely to come back, so naturally we want to keep you happy! The yearly upgrade subscription method provides the incentive we need to keep on giving you more and more useful new features, and, unlike the minor/major version method, means we do not need to save the really juicy bits for major releases only. Instead, new features, big or small, get added as soon as we think of them. Feel free to read this article here to understand better how upgrade subscriptions are not only fair as they actually benefit everyone. Q) What happens when my year of free upgrades ends? A) Nothing, your license key will simply not work on versions released after this period. You can, at that point - or whenever you want - renew your upgrade subscription for another year. Q) Will Winstep Xtreme stop working unless I renew my upgrade subscription? A) Most certainly not! This is NOT software rental. When you purchase Winstep Xtreme you get 1 year of FREE upgrades. Any new version you download and install during that period will be yours - and will keep on working - FOREVER. Q) Do I have to pay full price again to renew my upgrade subscription? A) No, subscription renewals cost only a fraction of the full price: $19.95. Q) I am thinking of buying the Home Network version. Do I have to pay more for upgrade renewals too? A) No! Subscription renewals for the Home Network version cost exactly the same as Single User License renewals. Buying the Home Network version is a one-time investment only. Q) Do I have to pay full price again if I let my upgrade subscription elapse? A) No, there is NO penalty whatsoever for not renewing your upgrade subscription on time, which is why this is a win-win situation for everybody. You only need to renew your upgrade subscription when you find features in a new release which you decide are worth the small renewal price. Q) But then how do I know a new version has features that might interest me enough to renew my upgrade subscription? A) Simple! You can try it out and decide for yourself. Any new version released outside your upgrade subscription will give you a full 30 day trial period. If you then decide that the new release does not have enough new features to justify renewing your subscription, you can use the built-in roll back mechanism to revert to the version you were previously using - otherwise you can renew the subscription for only $19.95 and keep that new version plus any others released within the next 365 days. Q) How do I know when new versions are available? 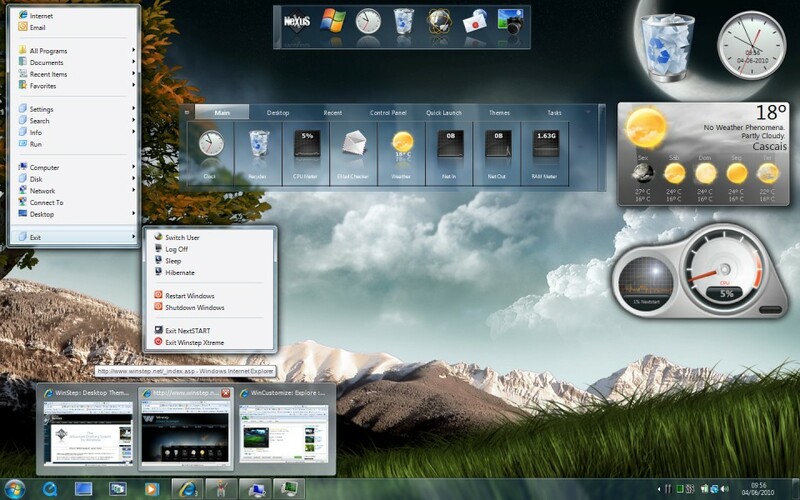 A) Winstep Xtreme has a built-in auto update mechanism that will tell you when new versions are available, and will download and install them for you should you wish to do so. It will also warn you if the new version is outside your 1 year of free upgrades or your current upgrade subscription period. The Winstep Update Manager checks will be made once a day in the background and the Update Manager will only prompt you when new versions are available. 90 MB of free hard disk space. Bulgarian, Chinese (Simplified), Czech, Dutch, English, Farsi (Persian), French, German, Indonesian, Italian, Korean, Norwegian, Polish, Portuguese, Portuguese (Brasil), Russian, Serbian, Slovak, Spanish. Would you like to receive a FREE Winstep Xtreme license key and have your name credited? You can by translating Winstep Xtreme into a language not listed above! Please click here for more information.